The Consumer Electronics Show has emerged again in Las Vegas and Showstoppers at the Wynn has definitely become one of the firm highlights for me. After being inundated with 3D printing demonstrations last year all over CES I did not think what would catch my attention most swiftly at Showstoppers would indeed be another 3D printing device, but I was mistaken. LulzBot Mini from Aleph Objects, Inc. did exactly that. Something that I immediately noticed upon approach was the fact that the printing area of the machine itself was not enclosed, which I was informed is part of the openness theme the company is pushing with the machine. This theme extends to the coding of the hardware itself, which can also be recoded and reconfigured due to the open nature of the source code. This struck a chord in my mind assigning LulzBot Mini akin to a Linux-based source machine, which is always good in my book. Overall, definitely a standout in a technological over-saturation of 3D printing. Another thing that caught my attention was the ZBoard electronic skateboard. Simple and effective in design, a skateboarding stance pressure is placed on the front pad with the front foot to move forward and vice versa with the back pad and back foot. It seemed to function very well and with variance between models the battery life ranges from 90-150 minutes. They are even equipped with handles for transportation and tail lights for safety when operating in the darkness. The ZBoard 2 model specifically, only weighs sixteen pounds, so by using the handles to transport it renders the device quite portable. On demand, transportation has always felt like a large market, but I believe the lackluster consumer reception of devices such as the Segway may have stunted the progression over recent years. Coupled with the massive hype surrounding the Segway before release, it seemed to have caused a rippling passive consumer view regarding products in this market. I think the ZBoard, and similar more practical products that differ from the Segway have the potential to reinvigorate the market. This is not solely based on practicality, but on aesthetics to a large extent. Approve of it or not, but human beings, especially consumers of technological products, can be extremely superficial. I attribute a lot of Segway’s lack of success to the mere fact that people tend to look ridiculous or uncool whilst operating the machine. ZBoards will not succumb to the same folly simply because it is generally accepted, at least in most modernized cultures that riding on a skateboard is socially acceptable and aesthetically pleasing. Of course that is certainly a matter of opinion, but using American consumers as an example, the low sales numbers and thwarted business models resulting from the release of a product that is uncool are very evident throughout modern history. In the internet age of rapidly modified and growing technological gadgets, coolness is quickly becoming an important metric, and seemingly one of the main driving forces behind separation of one product from another. This is especially apparent at CES. Even the name itself for LulzBot is dripping with internet hipness, and represents the wave of the future: mainstream technology put forth by an indie embracing world. 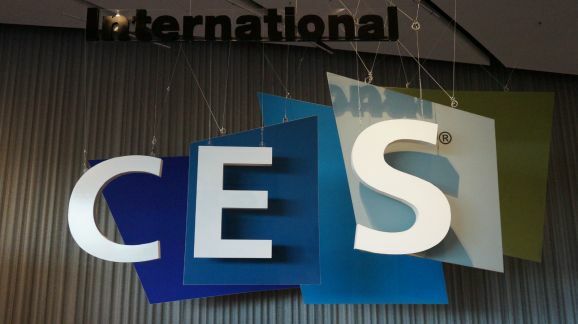 One Response to "CES 2015 Showstoppers Floor Coverage"